Our rabbits pee and poo throughout the day and need a good litterbox to stay clean. It also need to be spacious and comfortable so they want to use it. Our litterbox can accommodate 1-2 rabbits but for 3 or more rabbits, 2 litterboxes will be recommended. A litter tray should be big enough to contain a rabbit when fully stretched as rabbits do enjoy lying in them. We do not use the tiny ones from petshops but instead, design our own using a commercial crate from Toyogo (model: ID3901). The internal dimension is 49.5cm x 36.5cm and comes in 3 different heights (4, 7.5 and 9.5cm). 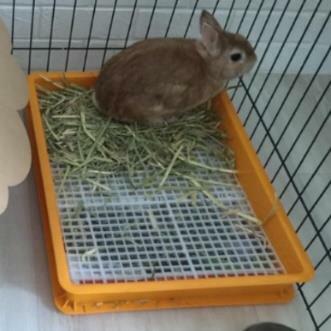 7.5cm is standard while 4cm is good for rabbits who can’t hop as well and 9cm is good for rabbits who ‘aim too high’ and pee outside their litterbox. We do not recommend higher than 9cm due to safety reasons. 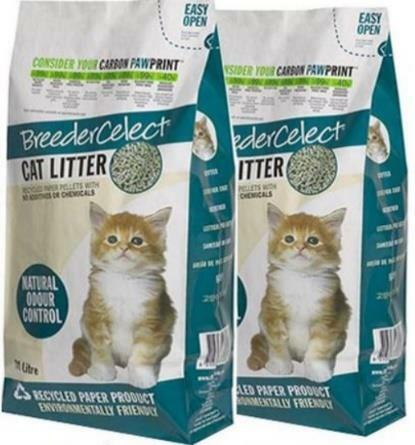 We use Breeder Celect recycled paper litter which is ideal because it is absorbent, excellent in odor control and not dusty to handle. Most paper-based litter are OK for rabbits. We do not recommend wood shaving as it can emit harmful vapors (phenols) when reacted with urine and if the air is not well-ventilated, can result in respiratory and liver damage. We also do not recommend powder clay or silica bead cat litter as they will be dangerous if ingested. 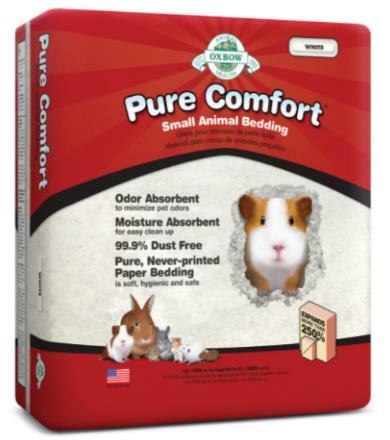 At Bunny Wonderland, we use Breeder Celect recycled paper litter because it is excellent in odor control. Most paper-based litter are OK for rabbits. 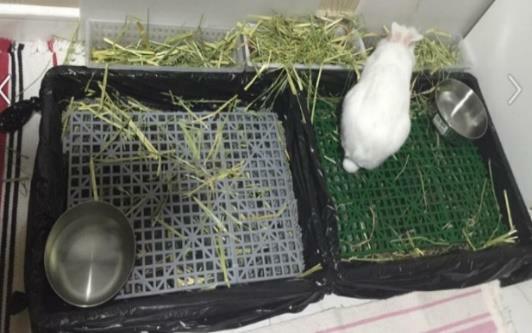 We will place a plastic grid over the litterbox so the rabbit’s feet stays clean. 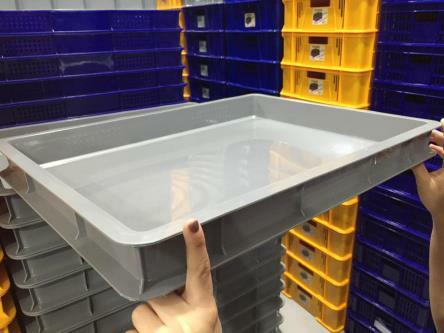 The plastic grids that we used at the wonderland is known as ‘foot pads’ on online stores such as TaoBao as well as small animal supply stores. 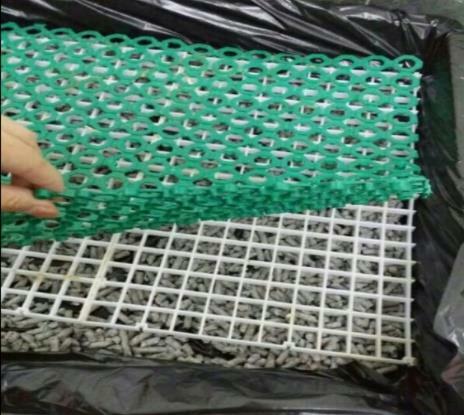 You can find also find the white grids (‘egg crates’) from aquatic stores or the rubber mat from hardware store. There are many creative ways to ensure your rabbit has a comfortable time in their beloved litterbox. 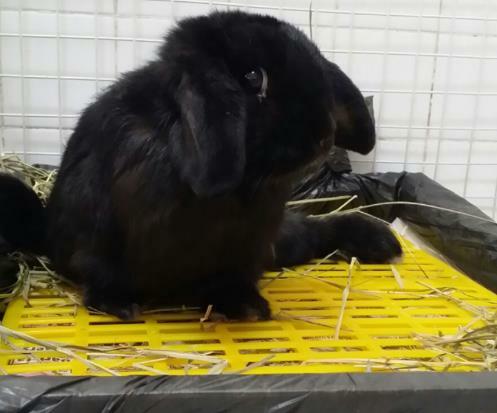 This is especially important for rabbits who have thin soles and prone to sore hocks as well as older or heavier rabbits who may exude more pressure on their hind foot and requires softer landing. Rubber mat place on top of egg crate grid. Plastic mat place directly on top of paper litter.